Reading about leadership is like walking through dense forest. The literature goes in so many different directions, a person can become lost. As a result, leadership studies struggles for academic credibility while it tries to bring some kind of order to this fascinating, complex, and important social phenomenon. Let Nathan Harter be your guide. As an Associate Professor of Organizational Leadership, he has found it helpful to orient students using the metaphor of a forest, where you can follow the streams down toward analysis or climb the peaks toward synthesis. The book reveals itself to be a work of philosophy. Specifically, it relies on Pragmatism to resolve thorny theoretical issues, since leadership studies must be eminently practical. The reader acquires analytical skills along the way, while touring different paths of the forest. This book targets an emergent market comprised of scholars and educators, as well as the libraries that serve them. People come to study leadership from different disciplines and expect to find an integrated, theoretical treatment of the subject. Despite the growing popularity of leadership programs, however, theoretical works are rare. As a few post-secondary programs introduce graduate programs in leadership, this book could also serve as their textbook. 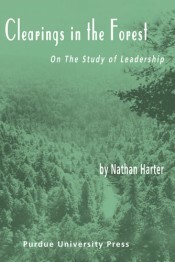 "Books on the study of leadership...are rare. 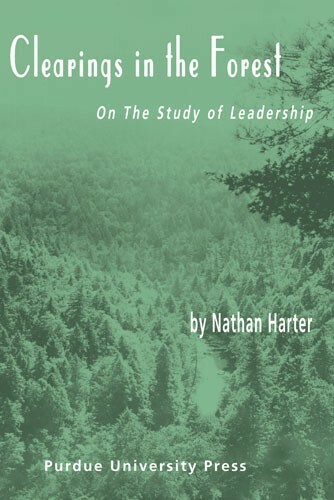 This one is worth the time spent..."
Nathan Harter is an Associate Professor of Organizational Leadership at Purdue University. He has served southeastern Indiana since 1989, where he lives with is wife, Karin, and three children. Previously, he practiced law in a small town along the Ohio River. He also writes a weekly column for the Greensburg Daily News.